We have been providing professional plumbing services to local customers for many years and in that time we have built a reputation for quality work and affordable prices. Previous customers have been impressed by the commitment to excellent customer service have made many referrals to friends and family. 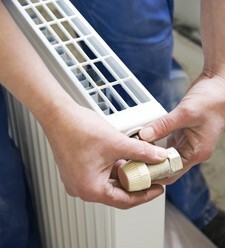 We provide a variety of plumbing and central heating services which includes regular maintenance and repairs. With years of experience we can help with small and large projects and can match any budget. We always deliver an honest, value for money service to customers in Arnold and Woodthorpe. We are committed to quality and reliability and many customers come back to us again and again and refer us to their family and friends. As professionals we are committed to the highest standard of work combined with the maximum convenience for the customer. Customers will always be kept up to date and can be confident that all work will be completed to their requirements. You can be confident that a guarantee of affordability does not impact on quality and all materials will meet high standards. To see how we can help you call on 0115 815 7281.